The ENCOUNTERS screening schedules and inventory of films are now on-line. Please go here for more info. Music is a constant companion to human endeavour and exists everywhere a person would give voice to his/her spirit. Whether we are working, playing, or fighting, celebrating life, or mourning, there is music that expresses how we feel and accompanies us in our efforts. Like in previous years, Encounters looks at different genres of music, ranging from Hip Hop in Cameroon and South Africa, to classical music, takes its audience to post-war Manchester, that inspired the lads that would become famous as Joy Division, showcases specific instruments such as the Mbira in Zimbabwe and observes the making of a very special instrument, a Steinway grand piano. 35 yeas ago Manchester was a desolate place, its children fodder to spewing factories, but from that urban wasteland four friends emerged to form a band that changed the landscape of modern music. Joy Division shows how, inspired by lead-singer Ian Curtis, this seminal group evolved beyond the rage expressed in their punk-rock roots through their need to decry the horror they saw in the city around them. Despite Curtis‚s premature death, some say that modern Manchester ˆ a breeding ground of musicians - could not have become what it is without their influence. Courtesy of the British Council. Pianos are like humans, each has a unique voice. Not surprisingly, every accomplished pianist is yearning to find and play the one piano that sings at their touch. And though each piano may be different there is only one piano that a pianist desires ˆ a Steinway. Recognized as the pre-eminent piano manufacturers in the world, in Note by Note the audience is drawn into the world of specialist artisans and world-renowned pianists by bearing witness to the yearlong creation of a Steinway Concert Grand. It‚s a nail-biting process as we wait to see if L1037 will make the grade. Cameroon is a tough place to be if you want to be a female, English-speaking Hip Hop star! Despite staggering raw talent, you might find that poverty and lack of resources present a daunting obstacle. In The Encounter, Cathy Lyonga aka Krucial Kate is able to overcome the difficulties when she fortuitously meets a visiting Japanese anthropology student and Hip Hop music enthusiast, who helps her work towards her dream. Cyrille Masso is a guest of the Festival courtesy of Africalia. Other must-see short African films for lovers of music are Mbira‚ My Music My Love (Encounters Africa Shorts), which examines a clash between western music and traditional values in Zimbabwe and Kabelo Zeroid Xpress (Student Focus), a look at a local Hip Hop band inspired by current affairs and Islamic literature. SABC, NFVF, Cape Film Commission, Western Cape Government, Jan Vrijman/IDFA, Africalia, Gauteng Film Commission, Goethe Institut, French Embassy, Tempest, US Consulate, British Council, French Embassy, Holland Film, The Times, Nu Metro, Exclusive Books. 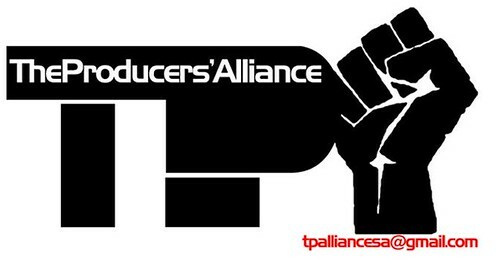 Local industry body,The Producers' Alliance has launched their own blog in which they detail their concerns regarding the South African Broadcasting Corporation (SABC). TPA member Rehad Desai says: We have to ensure that our voices are heard in this public inquiry, the leadership need to pull together a paper which motivates very clearly why producers and their representative bodies are one the most important stakeholders - particularly so if we want to make a plurality and diversity of voice a reality on our screens. Please go here to visit the TPA blog. Documentary filmmaker Elena Varela López is being held in Rancagua Prison, central Chile (Complejo Penitenciario de Rancagua, sexta region). She is currently filming a documentary which she has been researching for the last four years, on the conflict between lumber companies and Chile's Mapuche Indigenous people, over the use of land. Amnesty International believes that the authorities have arrested her in an attempt to halt investigations into this conflict and in an attempt to intimidate her and the Mapuche Indigenous people. Elena Varela López was arrested on 7 May by police at her home in the Novena region, approximately 620km south of where she is being held. She has been charged with "illegal association with intent to commit an offence" (asociación ilícita para delinquir). Police confiscated equipment from Elena Varela López's home, including videotapes, sound equipment, stills cameras and mobile phones, and costumes needed for the filming of the documentary. In addition, the arresting officers also took the research she had done, and documents relating to the funding of the film by the government agency, the National Audiovisual Fund (Fondo de Formento Audiovisual del Consejo Nacional de la Cultura y las Artes). Amnesty International fears that this information could be used by Chilean security forces to intimidate and harass Mapuche activists and those who contributed their opinions to the research. Since March 2008, the authorities have arrested three documentary makers who have spoken out against the conflict between lumber companies and the Mapuche people. 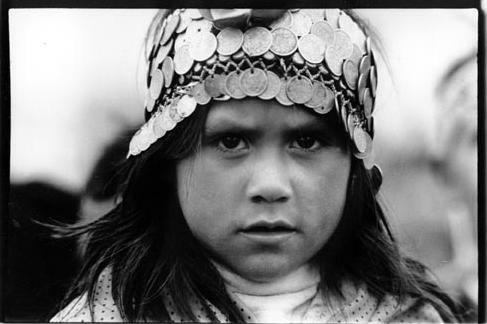 The Mapuche community is recognised as one of the indigenous peoples of Chile under Chile’s 1993 Indigenous People’s Act. The Act states that the indigenous peoples in Chile are "the descendants of human groups that have existed in national territory since pre-Colombian times and that have preserved their own forms of ethnic and cultural expression, the land being the principal foundation of their existence and culture". Amnesty International has reported ill-treatment and harassment of the Mapuche by Chilean police (Carabineros) and has publicly criticised the Chilean authorities for using anti-terrorism law against Indigenous community members fighting for their human rights and fundamental freedoms (see for example UA 121/06, AMR 22/001/2006, of 5 May 2006). In March 2008, the UN Committee on Human Rights expressed concern about the use of anti-terrorism legislation against members of the Mapuche community who had taken part in activities in support of Indigenous land rights. On 21 May 2008, Chile was elected as a member state to serve a three-year term on the UN Human Rights Council. As such Chile must demonstrate their commitment to uphold human rights both internationally and nationally and to fully cooperate with the Council. - noting the concern expressed by the UN Committee on Human Rights about the use of anti-terrorism legislation against members of the Mapuche community, and calling for Chile, as a newly-elected member of the UN Human Rights Council, to uphold human rights for all. PLEASE SEND APPEALS IMMEDIATELY. Check with the Amnesty International Secretariat, or your section office, if sending appeals after 15 July 2008. Contact the Amnesty International South African office here. The African, Caribbean and Pacific Group of States Secretariat (ACP Secretariat) launches a call for proposals financed by the ACP-EU cooperation support programme for the ACP cinema and audiovisual sectors, to support projects in the intra-ACP cinema and audiovisual fields, aiming at contributing to the development and structuring of the ACP States’ cinema and audiovisual industries, so that they can create and distribute their own images more effectively. It also aims to enable more promotion of cultural diversity, the networking of ACP cultural identities and intercultural dialogue. - The ACP FILMS Programme website. - The ACP Secretariat website. - The EuropeAid Calls for proposals and tenders website.